The UN Committee on the Elimination of all forms of Racial Discrimination concludes that the economic recession threatens achievements to combat racism and sends a clear message that racism must be back on the political agenda of the new Irish Government. The UN Committee on the Elimination of all forms of Racial Discrimination heard the Government’s report on its commitments under the UN Convention on the Elimination on all forms of Racial Discrimination (CERD) from 22-23 February. It issued its Concluding Observations today, Friday 11 March from Geneva. The Committee notes with regret that the economic recession threatens to reverse the achievements that have been made by Ireland to combat racial discrimination at all levels. The Committee expresses grave concern over the disproportionate budget cuts to various human rights institutions mandated to promote and monitor human rights such as the Irish Human Rights Commission, the Equality Authority and the National Consultative Committee on Racism and Interculturalism. The “persistent refusal” on the part of the State to recognise Travellers as an ethnic group is identified as a key concern. It recommends also that the State undertakes concrete measures to improve the livelihoods of the Traveller community by focusing on improving students’ enrolment and retention in schools, employment, access to healthcare and accommodation including transient sites. On the issue of hate crime, the Committee makes a number of comments. It notes with regret that the review of the Incitement to Hatred Act 1989 has stalled. The Committee recommends that the Government pass legislation to declare illegal and prohibit racist organisations, in line with article 4(b) of the Convention. It also recommends that the racist motivation be consistently taken into account as an aggravating factor in sentencing practice for criminal offences. It also recommends that the State take appropriate steps to encourage the reporting of racist incidents and crimes. There is much for the Government to consider in the area of immigration and asylum. The Committee is concerned at the negative impact that the policy of direct provision has had on the welfare of asylum seekers who, “due to inordinate delay in the processing of their applications and the final outcomes of their appeals and reviews, as well as poor living conditions, can suffer health and psychological problems that in certain cases lead to serious mental illness”. The Committee notes that the lapsed Immigration, Residence and Protection Bill and the fact that current legislation does not provide adequate protection for separated children and unaccompanied minors. It calls on the Government both to improve the existing draft legislation and to pass it into law. In particular, the State should improve the Immigration, Residence and Protection Bill to provide for the right of migrants to judicial review against administrative actions and to “ensure the right of migrant women in abusive relationships to legal protection by providing them with separate residence permits”. The Committee is concerned at the lack of legislation proscribing racial profiling by the Garda Siochána (Police) and other law enforcement personnel. 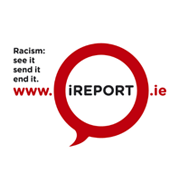 The Committee recommends that the Ireland adopts legislation that prohibits any form of racial profiling, a practice which has the danger of promoting racial prejudice and stereotypes against certain groups in Ireland. Furthermore, Ireland should strengthen its efforts to promote the humane treatment of “migrants and people of non-Irish origin” by the Garda Síochána (Police) and other law enforcement personnel in accordance with international human rights law. · The UN CERD is the oldest UN Committee and has eighteen members including one Irish member, Anastasia Crickley. Anastasia Crickley is the first Irish woman and second Irish person to be appointed to such a UN Committee. Anastasia will be well known to many readers as a founding and active member of the CWC and Head of Department of Applied Social Studies, NUI Maynooth. She had previously acted as Chair of the EU Fundamental Rights Agency until June 2010 and was the Chair of the National Consultative Committee on Racism and Interculturalism.